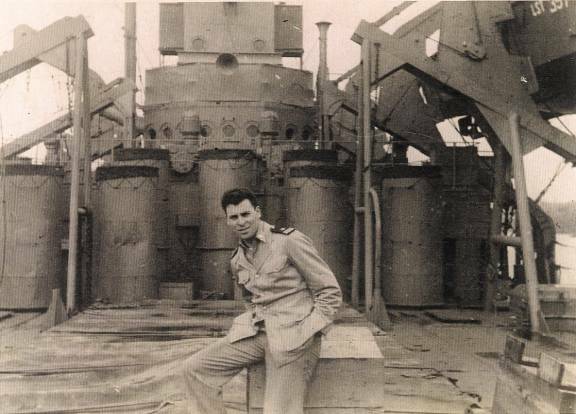 Naval Ensign Tracy A. Sugarman (1921 – January 20, 2013) arrived on Utah Beach in the late afternoon hell of June 6, 1944. 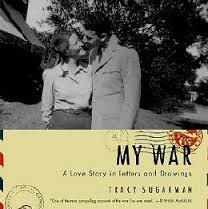 His letters home to his new wife, June, along with sketches and paintings done on the spot, document that period of American history, right up until he left for England on December 1, 1944. His book, My War, contains his version of the whole story, including the artwork. And what a story it is! But this letter (written on September 22 aboard the T. B. Robertson, a transport and the port direction ship), captures the ideals, the loneliness, the ennui and the excitement of the time, when America was young and strong.